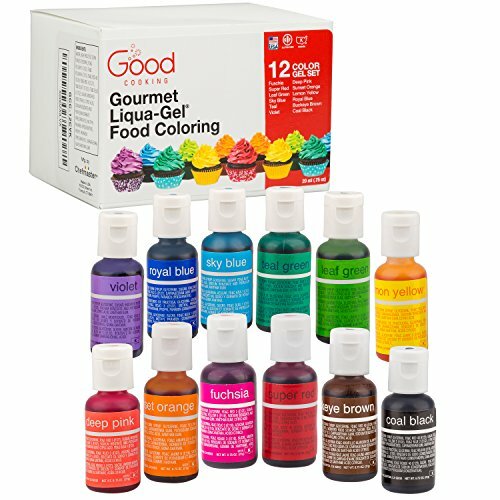 Do you love making slime? Slime recipes are so much fun to make with kids, and there are so many fun themes to try! 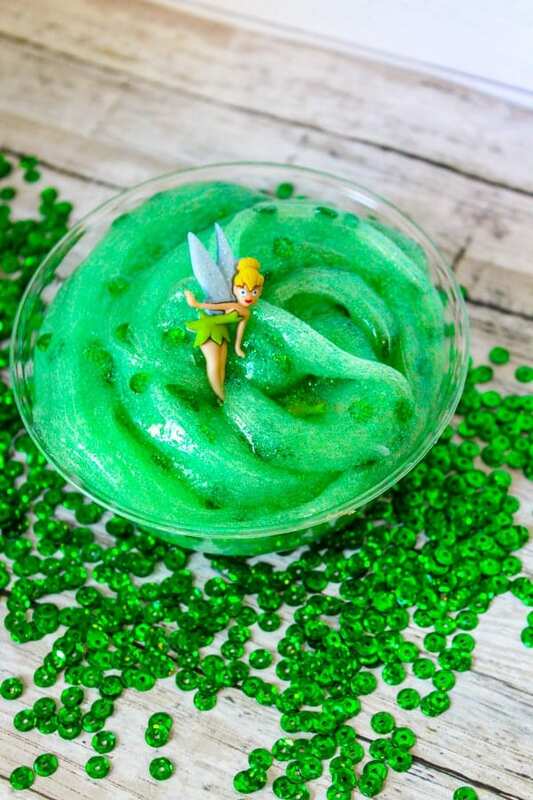 This Tinkerbell slime recipe is inspired by Disney’s Tinkerbell, and would make a wonderful party favor for a Tinkerbell party! 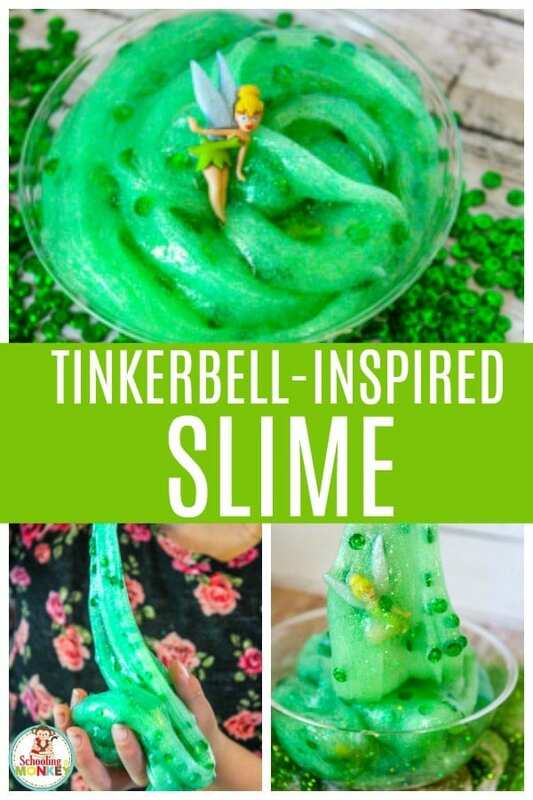 If you love all things slime and all things Disney, you won’t want to miss this super fun Disney-inspired slime. For more fun Disney activities, make The Lion Guard masks, Mickey and the Roadster Racers cars, or Elena of Avalor necklaces! 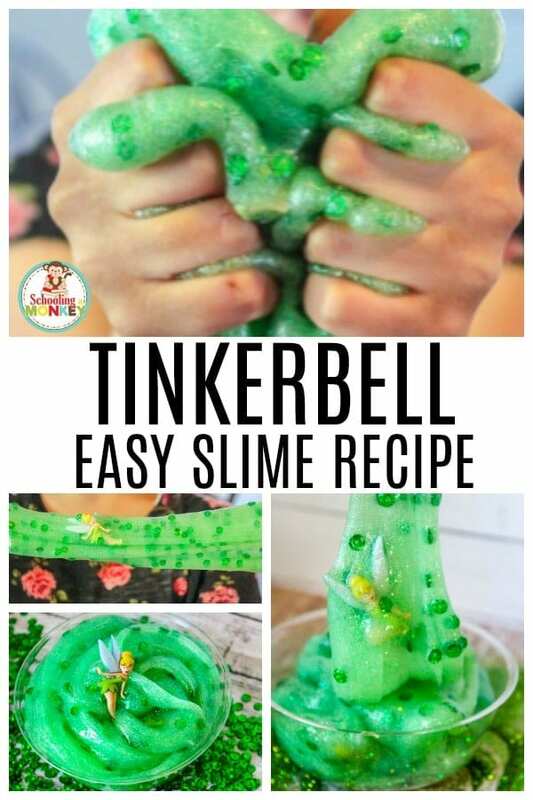 Tinkerbell slime is just like any other slime recipe, only this version is made with contact solution and baking soda. 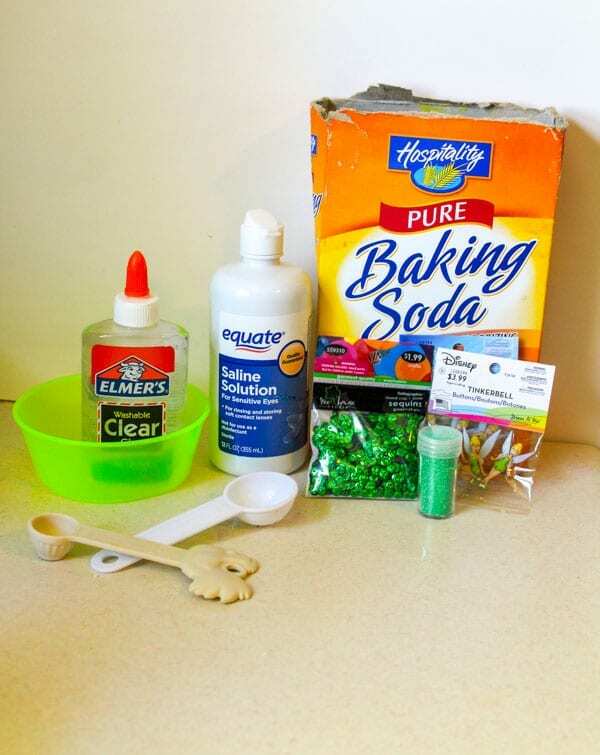 Contact solution slime is an inexpensive alternative to laundry starch slime, or you can also use a slime activator specifically made for slime (except it’s a bit more expensive). 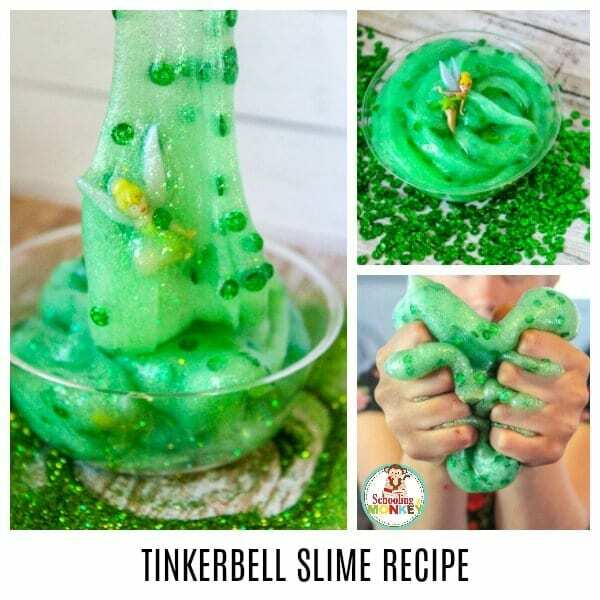 My preschool daughter loves the Tinkerbell movies, which is why we made this fun Disney-inspired Tinkerbell slime. 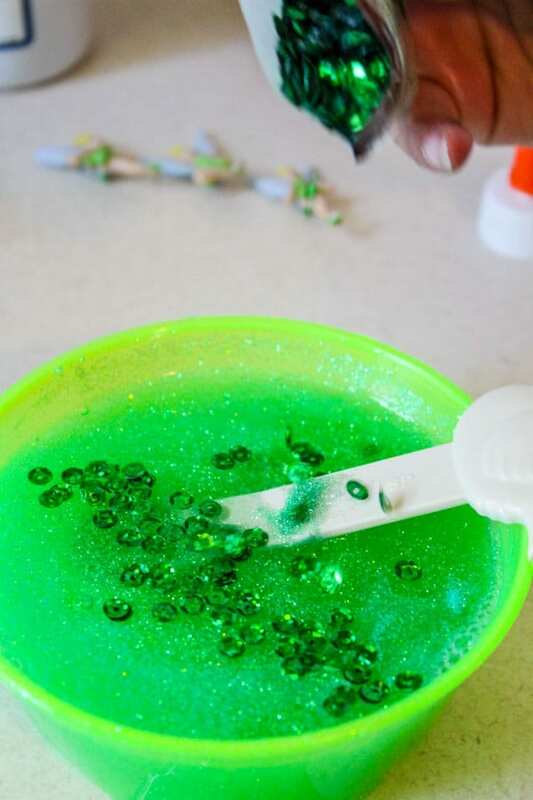 For more fun girly slime ideas, try making Princess Sofia slime, LOL doll slime, mermaid tail slime, or fluffy rainbow slime! WHY MAKE SLIME WITH KIDS? It’s no secret that slime is messy, and maybe you want to cut down on the mess in your house, and I certainly can’t blame you! My kids are sensory seekers, so they are always trying to touch things and feel things. Slime is a wonderfully satisfying sensory experience. It is stretchy, you can put more textures in it, it is soft, and it makes fun sounds. 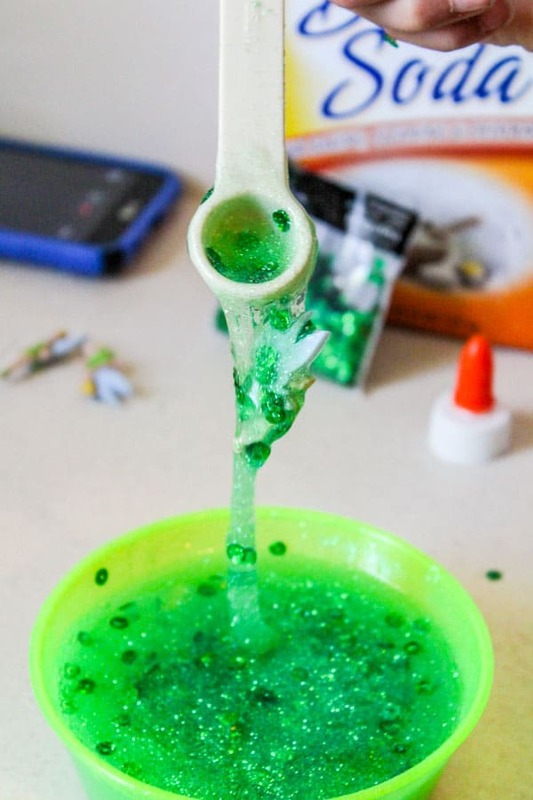 My kids also have tons of fun when making slime! 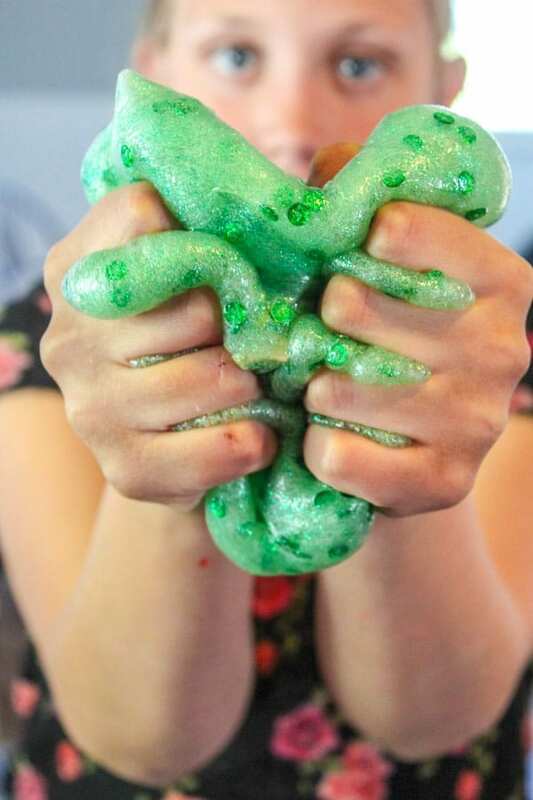 Another fun reason to make slime is that it makes kids so happy. My kids love it when I tell them “yes,” even if it means there will be a big mess to clean later. And if you want even less mess, make everything in disposable containers and throw them away when done! You can also make slime outside to keep your carpet safe. 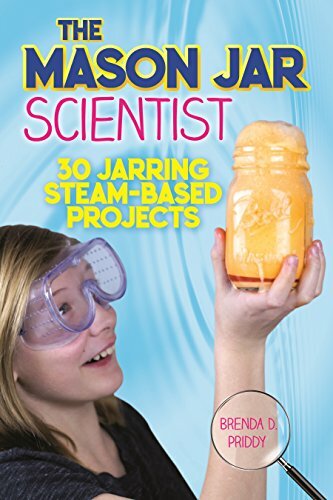 WHAT CAN KIDS LEARN BY MAKING SLIME? Kids can learn a lot about science when making slime. Slime is made by a chemical reaction. When the slime activator reacts with the glue molecules, it creates flexible polymer chains. This links the molecules together, but the chain keeps things flexible. That is why slime stretches and oozes, but stays together, unlike other mixtures like play dough or cornstarch oobleck. Sometimes people run into trouble when making slime. Two common problems are slime that is too runny, and slime that is too stringy. If your slime is too runny, you probably have the wrong kind of activator or not enough activator. 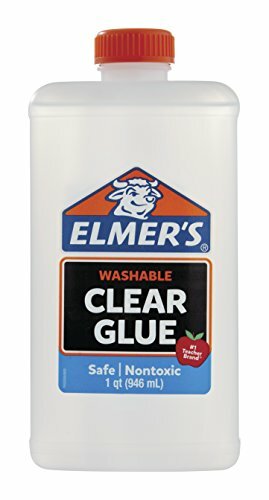 Try adding more activator, and if your slime still isn’t gelling, you may need a new type of activator. 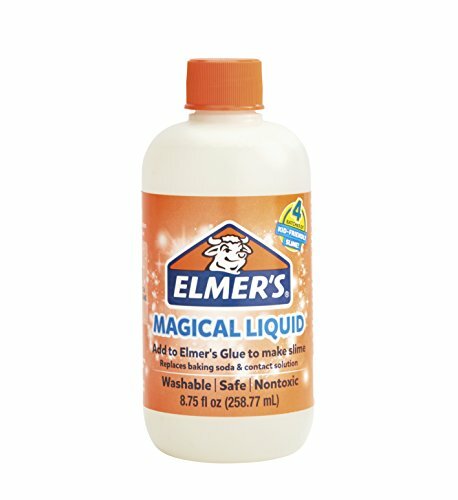 The best activator I’ve ever seen is Elmer’s activating liquid, which makes perfect slime just about every time. Drop a few colors of green coloring. 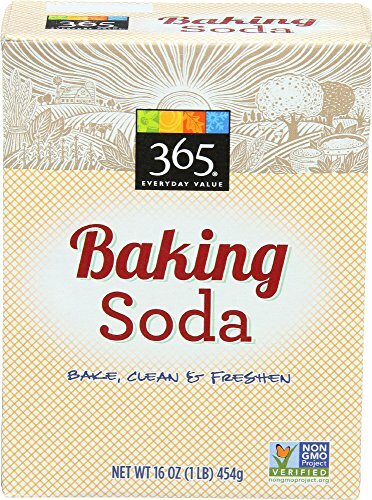 We use these soap dyes. 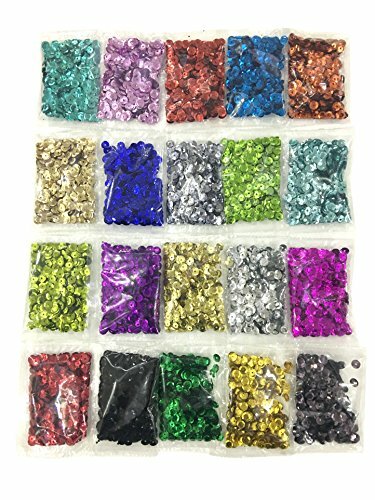 I love them – there are a ton of colors to choose from and they don’t color your hands. Stir to mix. 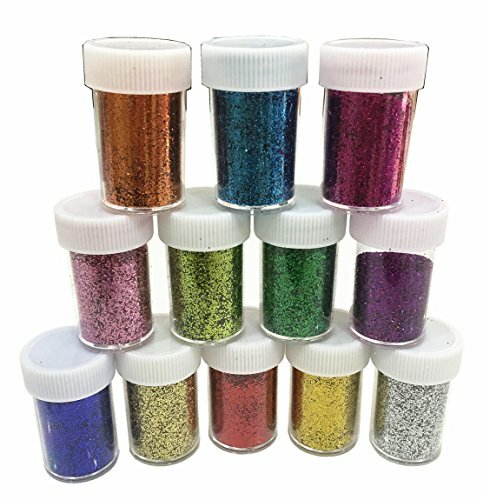 Next, add in glitter and the sequins. Add in the Tinkerbells. 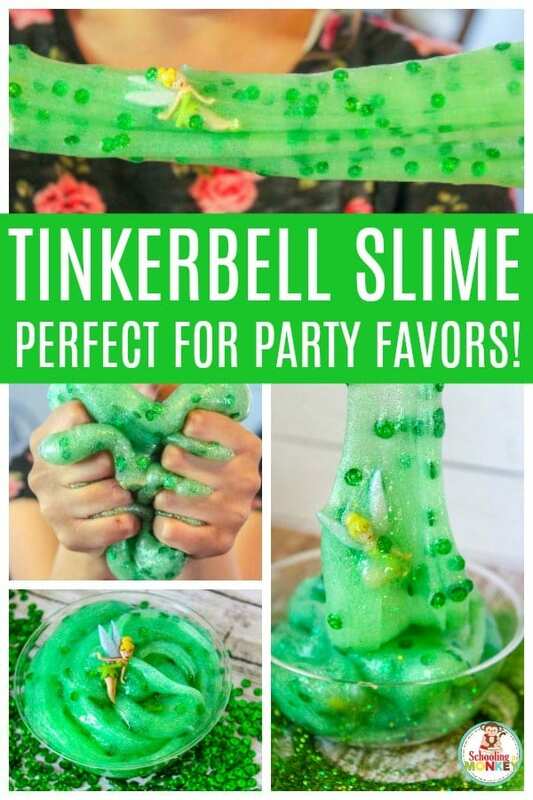 Or you can mix up the slime and add one Tikerbell on top of each small container of slime to make party favors. Stretch and play with the slime until you get tired. You can store slime for about 48 hours in an airtight container. I don’t recommend using a plastic bag to store the slime, as it sticks to the bag and it’s hard to get out to play with again. 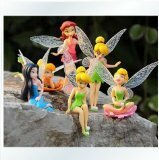 This would make a wonderful Tinkerbell party favor. Add one figurine to each container of slime. I recommend using containers like this one.